A locally owned and operated home water filtration system provider in the McAllen and South Texas area. If you live in South Texas and get your water from a city municipal system, a well, a river, or from the county, then you need to install one of our amazing water filtration systems in your home. We have always strived to be one of South Texas leading home water purification system installer. We have many satisfied customers in the Mcallen and South Texas area who trust their family’s water to us. Our goal is to ensure a professional and top quality job when it comes to installing our water purification systems! We are a locally owned and operated company. We are always just a phone call or email (or text message) away. Contact us today and we would be more than happy to give you a free quote on an in home system, or drop by to help you with your currently installed water filter system. At Mr. Clean Water we believe that all business should be conducted with the highest standards of ethics, honesty, and integrity and that our customers come first. That’s why we offer a warranty and money back guarantee. Customer service is just a part of who we are here at McAllen’s own Mr. Clean Water! That’s why if you have any problems with your new in home system we will come out and help you fix it. 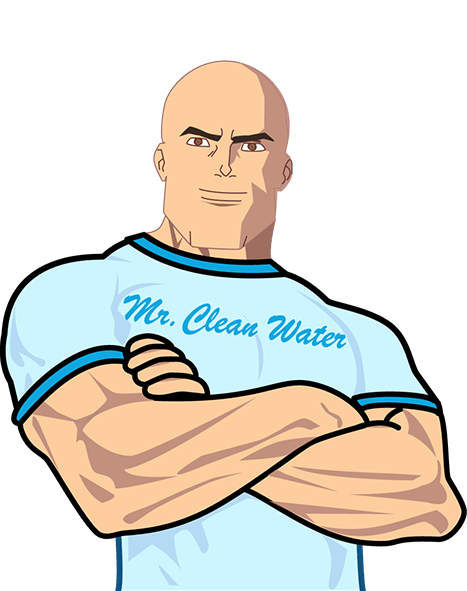 Because we want all of our customers to feel like they are a part of the Mr. Clean Water family. McAllen has been good to us, and we think it’s only right that we be good back to you all in South Texas!